Celery is often a neglected and misunderstood vegetable in North America. Europeans however love to use celery in soups, salads and sauces. They braise it, stuff it, roast it and even fry it. Adding celery to any risotto will give it a mellow flavour and will give it complexity. When I came across this recipe in Vegetables from an Italian Garden, I just knew I had to try it. It was certainly good enough to share with you, so I hope you will enjoy this unusual soup, also a complete meal. 1. Cook the celery in the bacon fat or lard and olive oil over medium-low heat for about five minutes without colouring. 2. Add the vegetable broth plus 1/2 cup water and the bay leaves, cover, bring to a boil, then reduce to simmer, and cook, covered, for one hour. Taste and season to taste with salt and pepper. If you want a more consistent soup, take about 1/3 of the soup and purée it in a blender and return to the soup pot. 3. 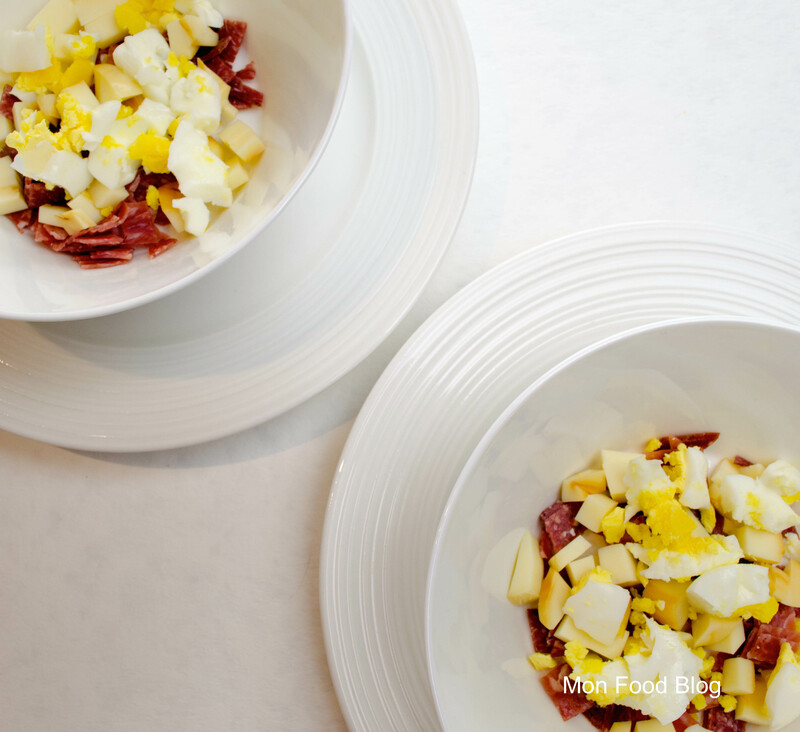 Cover the bottom of each individual bowl with the chopped salami, then add the cubed smoked cheese, then add half a hard boiled egg, crumbled with your hands. 4. 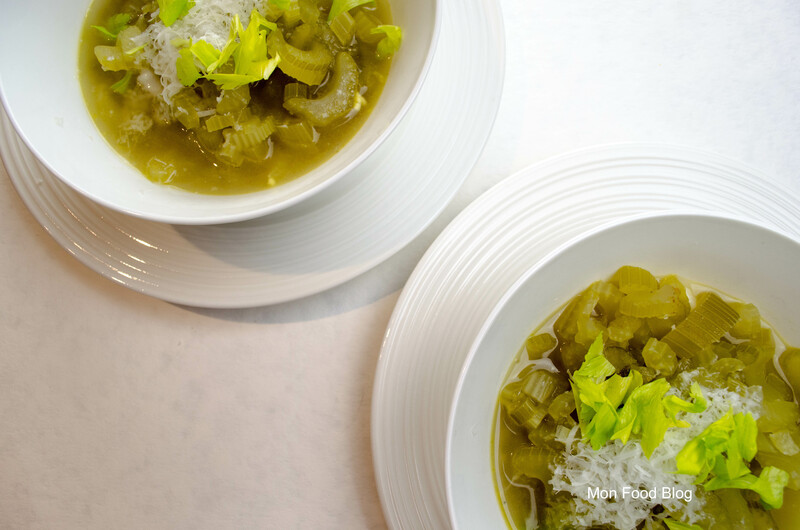 Pour two ladles of soup in each bowl, mix a bit and decorate with fresh celery leaves. 5. 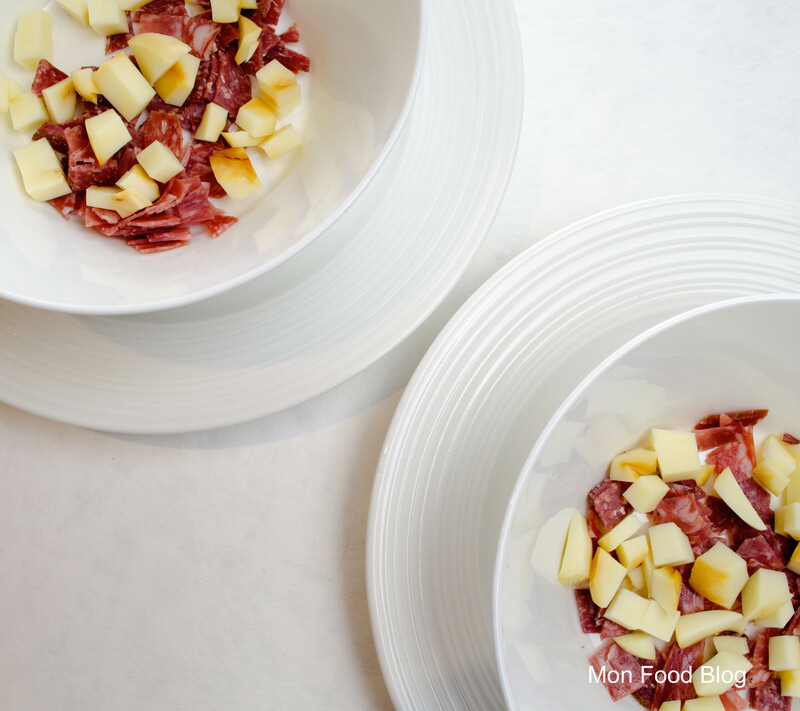 Serve with bread on the side and grated pecorino cheese for a complete meal. Celery is such an underrated vegetable. We really don’t give it its proper due in North America. 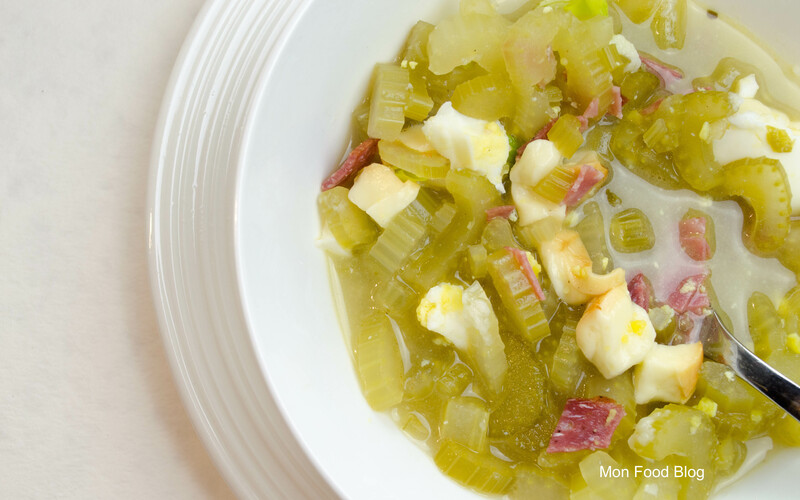 Celery is one of my favourite things, and this soup shows it off so well. Brilliant recipe! I have a few more celery recipes in my pocket for the near future.